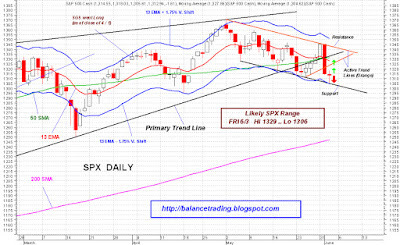 SPX tested the lower channel line of its price channel today. At this point a rally for SPX to back test its primary supports (i.e. 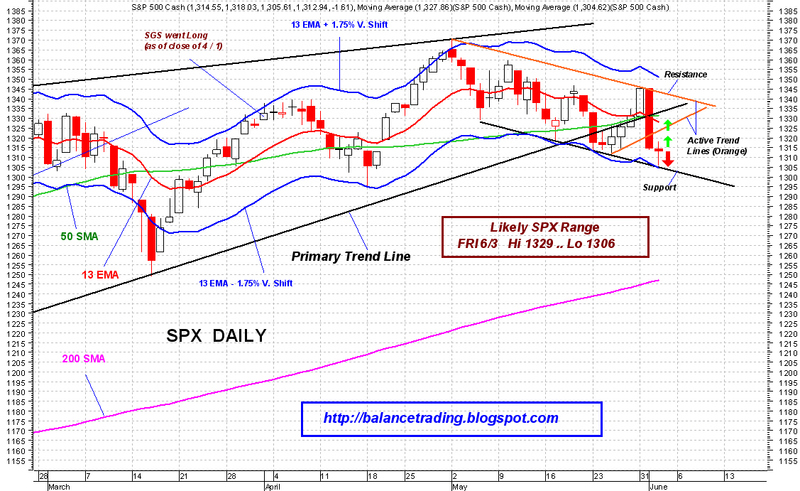 primary up trend line, 50D SMA and 13D EMA) around 1330 is very likely. Market is still looking good and I believe we're at or very near the end of this round of bull market correction.